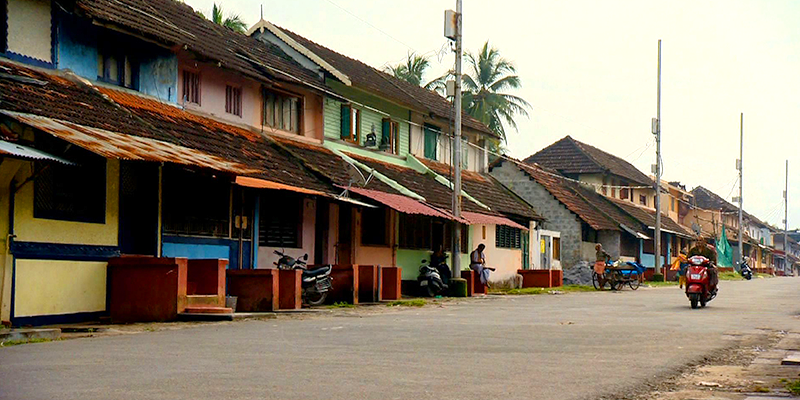 Quaint and filled with a rich legacy Kalpathy in the Palakkad district of Kerala was declared a heritage village. It had to be, there was so much distinctive about this village. Kalpathy is well known for Sri Visalakshi Sametha Sri Viswanatha Swamy temple, where the popular Temple Car Festival is held annually. Gifted with nature’s beauty, Kalpathy is special in every way – from the pattern of house construction, to the green living habits followed by the villagers, and the music of this small village. Let us explore this unique village now. Agraharams are houses inhabited by Brahmins of Kalpathy. They are distinct in their construction. The focal point of each house is the nearby temple. Modern lifestyle might have changed some of the age old practices in Kalpathy, but the age old Agraharams remain. Each Agraharam has a specific construction pattern. They have common walls, sloped roofs (with raised plinth), aligned East-west and all clustered in opposite directions. The symmetry and charm of these houses are awe inspiring. The Agraharams are constructed in a way where there is kids playing area, ceremonial halls and storage rooms. Built following the best practices of science, these houses are well lit and ventilated. Agrahara are colonies resided by Brahmins in Kalpathy. Kalpathy is branched out into various Agraharas such as New Kalpathy, Old Kalpathy, Chaaththappuram and Govindarajapuram. The colonies follow certain symmetry, and each colony has a temple at its starting point. Old Kalpathy has Sri Lakshmi Narayana Perumal Temple, Chaaththappuram has the Prasanna Maha Ganapathy, Govindarajapuram has the Sri Varadaraja Perumal Temple and New Kalpathy has the Manthakara Maha Ganapathi Temple. The residents of Agrahara believe that these temples dictate the construction and practices in the Brahmin colonies. Though, Agrahara tradition is still prevalent in many other parts of Kerala such as Karmana and Thiruvananthapuram, but it has lost its former glory due to the invasion of modernism. In Kalpathy, though it has been preserved as a priceless relic! Devotion is the nucleus of Kalpathy and this temple forms the base of all religious practices. 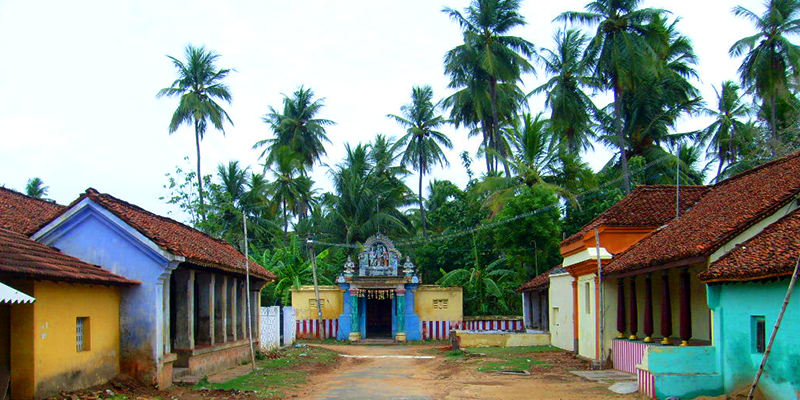 Locally known as “Kundu Kovil’, Sri Visalakshi Sametha Sri Viswanatha Swamy Temple is the holy abode of Lord Siva and Parvati. 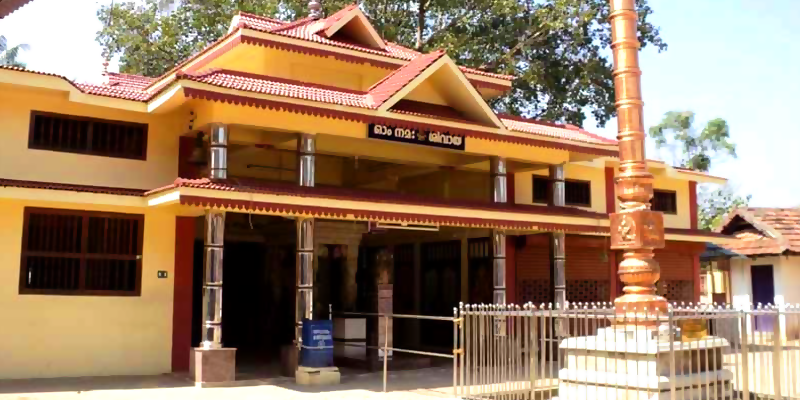 It is the oldest Siva temple in the Malabar region. Situated on the banks of Kalpathy River, it is one of the most prominent South Indian temples. The prominence of this 15th century temple can be measured by its nickname – ‘Kasilyil Paathi’, or “half of that of Kasi”. The Viswanatha Swamy Temple is situated at the bottom of eighteen steps, which is why it is called Kundambalam. All the Agrahara temples are close by this temple, as the Sri Visalakshi Sametha Sri Viswanatha Swamy Temple is the focal point of all Kalpathy’s religious practices. Conducted in the first two weeks of November (November 8-10 this year), Rathothsavam is the biggest event in this small Kerala village. During this 700 year old event, people draw the 4 chariots (rathas) from 4 temples of Kalpathy which come together and circumvent streets of the villages in a grand procession called Oorvalam. The main chariot carries Lord Siva and 2 small chariots carry his sons (Ganapathy and Murugan). Chariots from other villages such as Old Kalpathy (carries Lord Krishna) and Chathapuram (carries Lord Ganapathy) form the Devarathasamgamam (getting together of all gods). 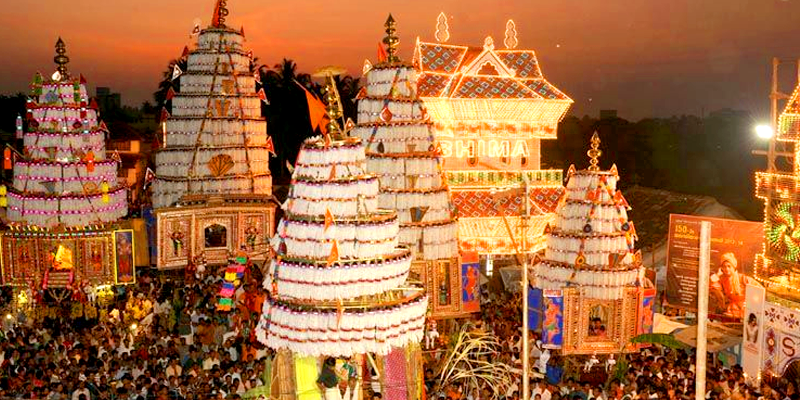 One of the attractions of Rathothsavam is the Sangeethgothsavam (Music Festival). Renowned musicians and singers across the globe perform without any remuneration at this Sangeethgothsavam. Visited by thousands of devotees each year, Kalpathy becomes cramped for space, during the festival. 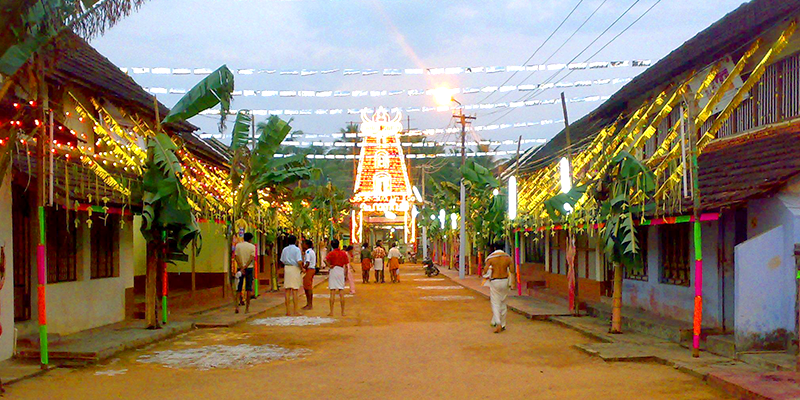 There is just so much to do in Kalpathy during the Rathothsavam. Good article, every Indian must read it to know our tradition and culture. Thanks to the author! During my visit to kanyakumari after reading artical I will sure visit kapathyin jan 2017. I have visited Palakkad several times, but I could not visit Kalpathy so far. By reading this features – I feel I visited the place in person. It is so cute and interested to visit. Its a nice place. The Palakkadan villages are like so nice – old aged tiled houses, buses are plying thro’ pocket roads, The beautiful places are like Tattamangalam, Chittur, Kalpathy, Athipotta, Kozhinjampara, Nalleppilly, etc. I prefer to travel by bus thro’ Palakkadan upcountries bcoz in each and every bus, you can hear the tamil hit songs preferably SPB songs. You should try to enjoy the bus journey thro’ this interior sides.